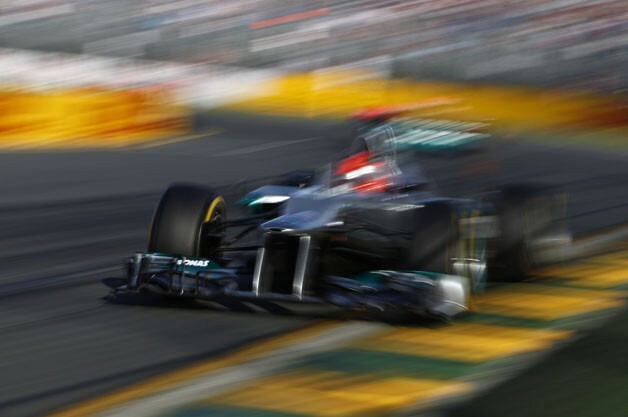 Formula One may, to outsiders, seem like a monolith, but it is in fact a gathering of rather disparate parties. There's the FIA which governs the series from a sporting standpoint, there's the collective of teams competing in the series, and Formula One Management, the company that holds the sport's commercial rights under the direction of one Bernie Ecclestone. The only way they all get along is through the terms of the Concorde Agreement - the contract that divides up the spoils, namely television revenues and prize cash, between the parties. And that contract is coming up for renewal. Ecclestone is eager to please the teams and get them to sign what will become the seventh Concorde Agreement when the current one expires at the end of the year. And to get there, rather than negotiate with all the teams equally, Bernie has been offering big incentives to certain teams. Those include in particular Ferrari, McLaren and Red Bull - the teams which have, in the past dozen years or more, accounted for the lion's share of the titles (both drivers and constructors). F1 would suffer a tremendous blow if any of these teams were to leave, so Ecclestone has reportedly offered them such incentives as cash bonuses, shares in Formula One Management and seats on its board, and performance incentives that would in theory be open to any team that achieves them but would in practice favor those three top team. One team being left out of those incentives is Mercedes, one of the largest automakers participating in the sport - running its own team and supplying engines to two more (including McLaren), not to mention the safety and medical cars used at each grand prix. According to The Telegraph, Mercedes is now threatening to take legal action under European competition laws (regulations that are formulated to prevent the abuse of a dominant position) if it gets left out of the incentives being offered to other top teams. Ecclestone may be forced to cave to Mercedes' demands, lest he find himself back in court while losing a top team and engine supplier from his roster.Mercedes ponders exiting F1 racing over commercial deal originally appeared on Autoblog on Mon, 26 Mar 2012 14:30:00 EST. Please see our terms for use of feeds.